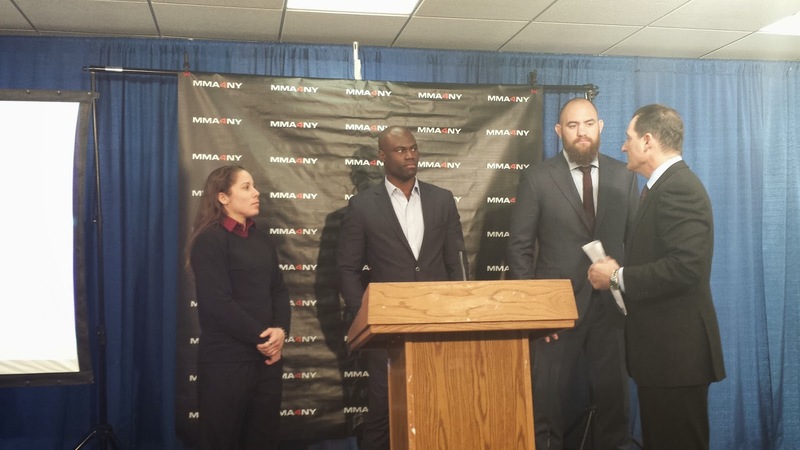 It's barely even February and already the pessimism and negative vibes are flowing freely when it comes to MMA getting sanctioned in New York this year. According to Ken Lovett of the New York Daily News and his prognosticating crystal ball, a dark shadow hangs over the heads of those seeking to lift the ban. “I don’t see it as very likely this year,” one Assembly official said. “If the pussification of America means holding the tide against violence and misogyny, I’m all for it,” she said. All I have to say about this is that it's way too soon to be handicapping any odds. Also, there's more than one way to skin a cat, and this particular feline might be losing a good portion of its fur in the coming months.